Embroidered aprons in Dorset and hampshire are probably something you’ve never thought of using as part of your custom work uniform. Even if you’re in an industry where aprons are worn anyway, such as a café or bakery,Splashing out on personalised aprons can seem a frivolous and unnecessary expense. 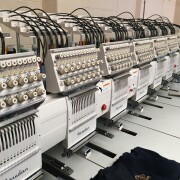 Not only are embroidered aprons Dorset and Hampshire a great way for smaller businesses to set themselves apart from everyone else, they can also end up saving you a bit of money too. For smaller businesses opting for a branded apron in Dorset and Hampshire as your uniform could actually work out more cost effective and better value in the long run. Unlike other garments aprons are unisex and can be easily shared through employees, so there’s no need to worry about the expense of buying each staff member their own (or multiple) uniforms -particularly useful if you have a lot of seasonal or temporary staff. There’s no need to worry about your branded aprons looking a bit boring and old-fashioned either . Today’s aprons are available in every colour under the sun and lots of different styles to choose from too. You’re looking for the perfect apron to match your logo colours? No problem! 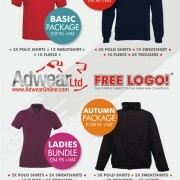 All these options mean you can find a coloured apron that fits in with your existing branding easily.